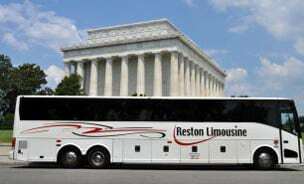 Reston Limousine is well-equipped to handle all of your corporate transportation needs. We know your workday needs to be smooth and efficient, so we have a variety of corporate transportation services to serve whatever purpose you require. Our executive transportation offers unparalleled standards of quality for your event. Book one of our impeccable limousines, sedans, vans, or minibuses for your team. Alternatively, for larger groups, our group shuttles may be the better option. With coach buses that can hold up to 55 people, our corporate shuttle transportation will get your entire office wherever you have to go. Come explore our entire selection of corporate transportation options, including Metro Shuttles and Festival Shuttles. Click any option to learn more and book your own outing! Executives rely on our impeccable vehicles, knowledgeable drivers and 24/7 customer service. 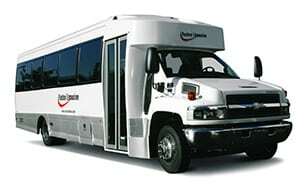 Our expansive fleet accommodates groups of all sizes throughout the metro DC area. 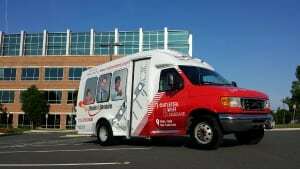 Reliable, flexible shuttle service helps distinguish properties and attract tenants. Our new Silver Line shuttle opens with the launch of the Metro extension in summer 2014. 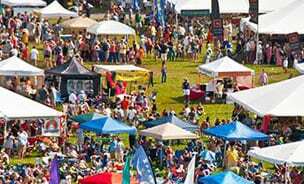 We have worked with the area's largest event planners to ensure successful events year after year.